This French design parquet block floor is styled on an old traditional design. Supplied in individual oak blocks, this floor requires finishing on site. Please note each floor is made to special order and 4 to 5 weeks is required for delivery. 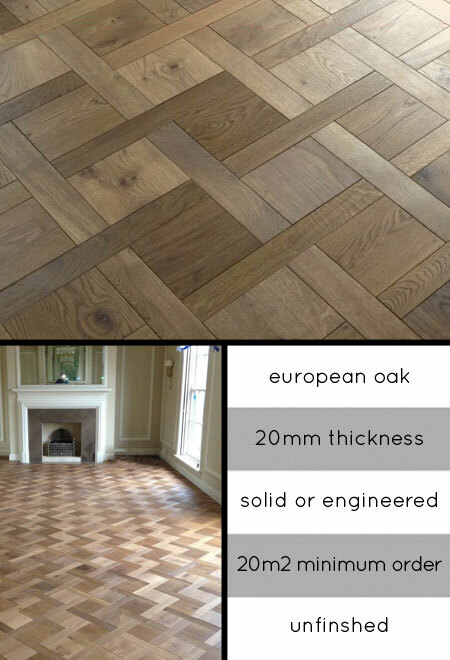 Engineered oak floor version available on larger orders with price to be confirmed. * Supplied in blocks & unfinished.